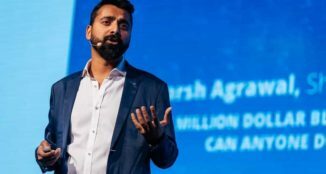 How many times have you come across posts where a blogger talks about his income from blogging and shares his income stats? When I started sharing my income report initially, I got many mixed reactions from regular and first time-visitors. Some people find it motivating, others consider it “showing off” or bragging, and some people believe it’s misleading. 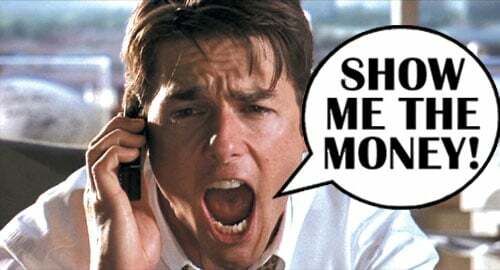 I have not written about this topic before today, but after four years of blogging, I believe it’s time to clear the air and share my perspective on sharing income reports publicly. There is no denying the fact that money is one of the biggest motivational factors in every aspect of life. If you ask people what they want to do or become in life, a majority will answer that they want to be involved in a profession that brings maximum recognition, respect and financial compensation. This is true because money is needed to buy most of our necessities and luxuries in life. Blogging is a relatively new career option, and it is not a field in which one can gain certification or a degree. It is, however, a job which anyone from any age group anywhere in the world can pursue. 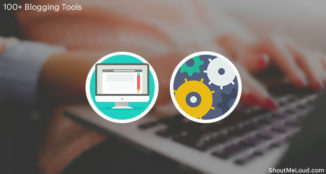 These days many people have blogs on one of the free blogging platforms available, and they blog for personal interest, communication, or because they have a passion for writing. What many of these bloggers don’t yet realize is that blogging can bring recognition, fame and (for some) a very good income. Professional blogging or part-time blogging: Which one is right for you? There are thousands if not millions of bloggers out there who are still unaware of different ways to monetize a blog. Most budding bloggers think AdSense is the only way to make money from their blog. But there are many more lucrative ways to create income from blogging such as sponsored reviews, affiliate marketing, CPM ads, etc. When I see a blogger’s income report, I often learn new methods that I can explore to add to my own blogging income. 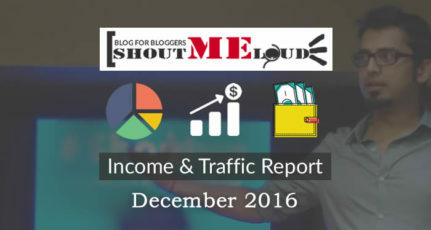 When I started blogging, I stumbled upon the income reports of a few bloggers, and that helped me to understand the true monetary potential of blogging. I believed in “If They Can Do It, I Can Do It“, and with that mindset I managed to cross the blogging income milestone of $6000 per month. Publishing my income report also serves as a self-motivation mechanism for me. It helped me to raise my goal with every milestone I crossed and reported. Check out the complete archive of my income reports and compare my first income report with the latest one, and you will see the growth for yourself. There is no doubt that full-time bloggers can make money from their blogs. And whether the income has been earned through AdSense ads, affiliate marketing or any other method, sharing one’s blog income report adds more transparency to the blog. Indeed, whenever I have shared my income report, many regular readers like you have commented suggesting new potential income streams such as an eBook or a new affiliate product and so on. Many readers have messaged me on Facebook and informed me of a few high-converting products. All of this has been extremely helpful. In the end, sharing a blog’s earning summary helps to create a better relationship between a blogger and his regular readers. Some people may think that blog income reports are misleading or may not be genuine, and it is not our job to convince them of anything. 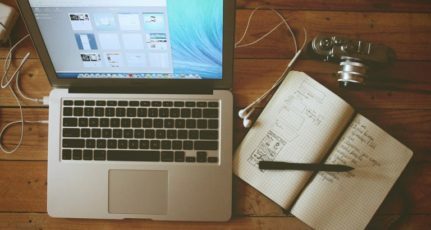 All we can do is honestly and openly report accurate income stats and hope that it may inspire even one other blogger to reach for his own success. 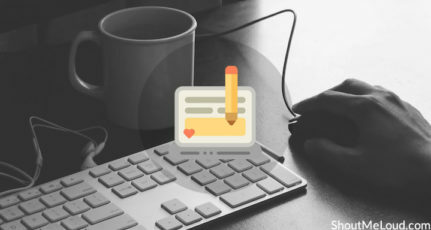 Do you find viewing blogging income reports useful and motivating? Do you publish your own income reports on your blog? If not, why not? Has another blogger’s published earnings report helped you to grow your blog? Do share your opinions, and consider sharing this article on Facebook, Twitter and Google Plus. Thanks for the motivating reports, Harsh. 1. Definitely yes. As you’ve said, it makes me go “If he can do it, I can do it as well”. 2. Not yet, because I don’t earn that good of an amount to motivate my readers. 3. Not that I’ve seen many of the bloggers doing it, but yours have certainly helped me. 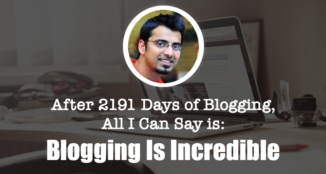 Hi Harsh , its definitely motivating and inspiring for the people who wants to start writing blogs . You are doing great thing by sharing your income reports on your Blog . You are big motivation for so many aspiring Bloggers . I am one of the million shouters that almost regularly visit your website. – YES, it is motivating because it sets a benchmark for bloggers. Bloggers can see practically what they might not have imagined in terms of monetary income. – NO, I don’t publish my blog income because I never thought on that and also I don’t have a monthly income from my blog. – Here is the first time I saw the transparency and have not seen anywhere. May be not tried to explore. Yeah off course Harsh… !! Its now three months since i stumbled upon ShoutMeLoud.com in my quest to work for myself online.I can say,i don’t miss any of his posts,even though he never writes back even when i have really pertinent stuff i would with to discuss…for I am in a country where blogging is still one of the Virgin sources of making money and would like to inspire many studied and gifted young graduates to relax and join the money secret here in my country in Uganda. I would like to answer your questions and would like a reply is possible. A: No. My blog is less than 3 month old. All I have achieved is $4 in Adsense, $0.08 in Facebook Instant Article and $0 in Amazon affiliate Marketing. Just started researching Click Banks and Share a sale (got info from ur blogs). A: I have seen a few but only genuine one I found was yours and I am not buttering you in any ways. Yes Harsh. Publishing your income report has helped me in no small measure. It has helped explore more ways I can make money through my blog without having to put up a single banner there. Reading your income report is one of the best things that has happened to me as a blogger and coach. As a way of motivating my students, I show them your income report from time to time. It inspires me. At the moment, I’m planning to start a new post to reflect all the things I have been learning from you to grow my blog. I will send you a link to it when it’s ready so that you can look it up and make your contributions. Personally, I haven’t started publishing my monthly income report but I promise to start doing next year. My reason is because I’m not just proud of how much I’m making at the moment. I’m doing good but that’s not the best I can do.